Join Us! Santa Club At Facebook. Maree Designs Monday Plan of attack. Webtalk. Future for social networking. Setting up your IBO Social Media to use as Blog. The Best Bitcoin Faucet online. Welcome to our Santa Club at facebook. I am all about rewarding our members for participation and supporting my Fiverr Store. Activate Entry into our Santa Club Yearly Prize Drawing into real cash paid to your bitcoin wallet with your first Fiverr Gig Purchase. Enter Promo Code AT Dollar Wise System Earner Santa Club. My name is Maree Wells. Founder and developer of the Dollar wise Network Established 2009. As you can see we have a large community of individuals that have given our page a like. Sharing our vision of developing and making a world wide foot print with our digital marketing throughout the online world. This is the place to be. In a very short period of time I have watched our community thrive. As they put into practice all the training available within the back offices of our Family Network of sites. Be sure to check in often and do a little brain storming and sharing your news with all our members. With advertising you only get the one shot to attract attention to your promotions, before surfers simply click surfing on ignoring your advertising. Use our attractive splash page designs to stop them in their tracks. You will find lots of individuals are out there looking for the ideal working from home on line program. They will be eager to thank you to the introduction and leadership support you can provide. I Offer A Unique concept. I reward my clients with Santa Club Gift Cards. Each card is worth one share (Value $20). They expire after one month if you do not have an active subscription made at my Fiverr Store. These can be redeemed every Christmas. Just activate the Promo Code you will receive around the 10th of December each year. Our Santa Club has been operating at Facebook since 2015. Personally I got sick and tired of members expecting everything for nothing, without the participation or involvement. I was giving away to much cash to members requests, that simply gave up before even starting. So Now I inject back a percentage of my income supporting the members that support me. Harsh but Reality. I got sick of all the investment programs over the years that simply swooped in taking my cash never to be heard from again. So I decided to offer a savings plan for all my clients, where I reward them when investing a portion of their purchase into a long term Cash Back Christmas club reward planner. Allocating Gift Cards. Which could go up in Value or Down in value depending on the value of Bitcoin Come Christmas Time. Check out the Gift Card Packages included with individual Fiverr Gig Purchases. The more you invest the more gift shares you accumulate throughout the year. I have opened a bitcoin wallet at Coin Base for our Santa Club Community. Fiverr Gig. One Time Payment Life Time earnings from all sales. This is a great kick starter package. Associated with Maree Designs. Basic receive 1 Gift Card. Standard receive 2 Gift Cards. Premium receive 5 Gift Cards. After purchase I deposit into our Community Bitcoin Wallet the value of each share. Hopefully growing in value for when Christmas time rolls around. Fiverr Gig. One Time Payment, Life Time Earnings from all sales. On line leverage income plan. This is a great kick starter package for SFI training. Associated with ABC4Income. Basic. Receive 1 Gift Card. Standard 2 Gift Card. Premium 4 Gift Cards. Great rewards with sharing my Refer Me Business Card. Purchase any Premium Gig you see listed on my promotions and receive 1 Gift card with every purchase. Lets make it really exciting. Any Other Premium Gig purchased at my Fiver Store receive 1 Gift Card Share. Join our community with setting up an account at Coin Base. A lot of our community buy their bitcoin here. Also check out Coin Mama. Find access in the down line builder program at Maree Designs. I keep track of all orders. If any members spends over $150 at my Fiverr store in any given month. Bonus 1 gift card given. If any member spends over $100 at my ECA Store in any given month 1 gift card given. Please remember to send me an email before the end of each month to also redeem Admin Watch Points for all spending. Log into Traffic Marketer Pro, Maree Designs and ABC4Income. Click at the left My Down line Builder, work your way through activating your membership with each site. Blasting your promotions. Then send me an email redeeming Admin Watch Points with signing up. List the sites joined. If upgraded add proof of purchase. View information about Admin Watch on the home page at Dollar Wise System Earner. Why it pays to surf daily at Dollar Wise System Earner. All Premium gigs activates Monday Cash Back Winnings into real cash paid to members Bitcoin wallets. I load the prize box with $20, $10 and $5 Bills. All other members winnings are redeemed into advertising added to their accounts. Remember to play the games, Pick a block, Redeem surfer rewards before logging out. Why it pays to surf daily at Maree Designs. One lucky winner daily of One Banner Add with 5000 views. All the information required to start your online journey can be found in the back office. View the special credits offer. Check our upgraded founding members gift slots on offer. Support our community stores. Find listed great on line shopping portholes. Why it pays to surf daily at ABC4Income. All you need to SFI business building can be found in videos and training articles in the back office. Add your favorite Triple Click Store Promotions. Start earning from all your SFI team spending. Find ECA Store owner listings all at the one location. Use the URL Rotator and Viral Url Cloaker Unique plugins to support your team members with running competitions and advertising for them. So there you go our complete A - Z Business builder and income generator in a box. Instead of jumping here there and everywhere. Take full advantage of all the opportunities on offer with in our Dollar Wise Network and Down line builder sales funnel generator. Use your bitcoin commissions to pay for other upgrades, doing some shopping. Enjoy. Check into our Santa Club to view random promo codes I list with Fab Prize Giveaways. YOU must verify random winnings I will be listing with in 36 hours to redeem before they expire. Send me an email verifying you have Read This Blog Post. Heading Facebook Santa Club 200 points please Maree. I look forward to chatting to you throughout our network. Be sure to activate our Down Line Club Membership when you lock into our Bitcoin training gig at my Fiverr Store. I hope you enjoyed reading this article. I look forward to chatting with you at our Santa Club. 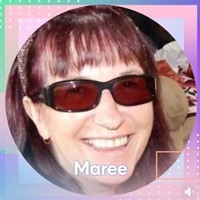 Owner Maree Designs. DWSEarner. ABC4Income and Traffic Marketer Pro.